It’s taken me since September, but I finally made sauce from my frozen tomatoes. I don’t know what took me so long. What was I waiting for, a nor’easter? Luckily, there’s a blizzard blowing now. 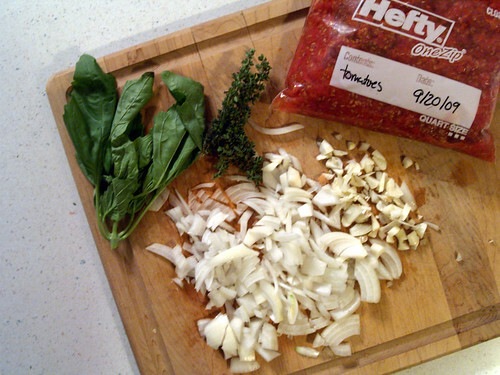 Basil, thyme, onions, garlic, oregano, salt, pepper, and…THAT’S IT. Perfect. Yum.